IKT operates its test scheme to enable manufacturers to demonstrate that their products meet the needs and requirements of network operators. Successful products are awarded a seal that testifies to their good performance. 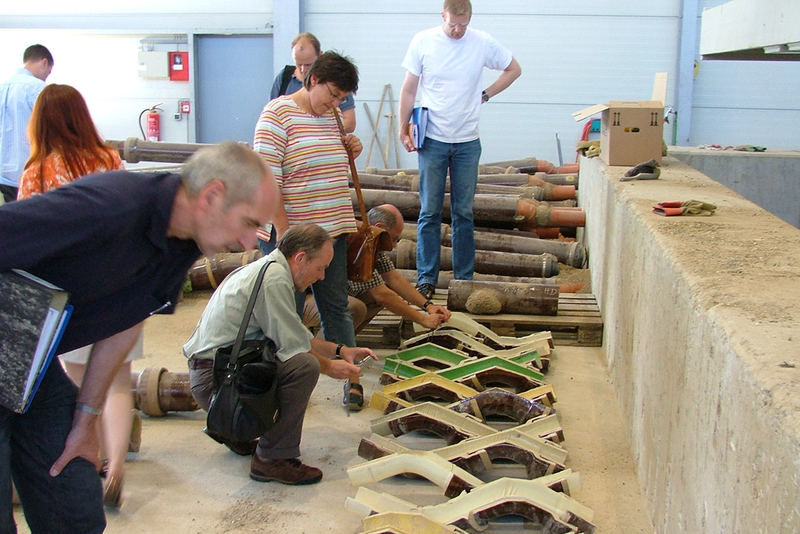 Products, processes and methods are exhaustively tested in IKT’s Comparative Tests. Every Comparative Test is supported and financed by a group of network operators. This body decides the test contents and test procedures, and also the evaluation criteria. This ensures that the tests are conducted on a practically orientated basis and with no commercial bias. Evaluation scale: VERY GOOD to INSUFFICIENT. The IKT-approved seal is awarded to products, that have passed rigorous testing to met the needs and requirements of network operators, and whose performance is therefore significantly better than is required in the applicable standards and approval codes. The test criteria are defined in agreement with the network operators which assures that the tests reflect genuine practical needs. Evaluation scale: PASSED or NOT PASSED. 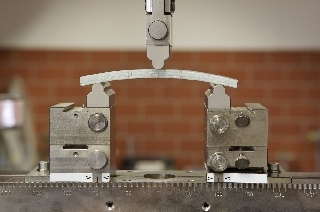 IKT performs independent and impartial tests and analyses. The results make the overall market more transparent for buyers and users. For this purpose, IKT awards seals, which the manufacturing companies are entitled to use for their PR and advertising activities. The use of IKT results by the manufacturer in advertising must not arouse in potential customers any incorrect impressions concerning the assessment performed by IKT on the products or services. The results must not be associated with products or services to which they do not apply. They must not have been superseded by more recent results or by any significant change in market conditions. The information on the results must be easily and unequivocally verifiable. This includes the requirement that the month and year of the relevant test be stated in the advertising. 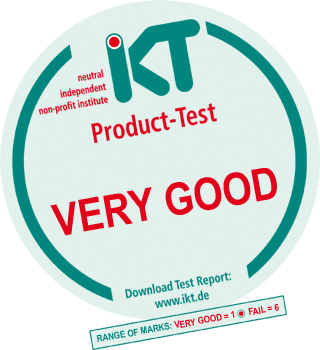 The ranking of the product against the IKT Evaluation Scale must be clearly indicated in advertising, particularly in cases in which higher rankings have been issued for other products and/or other services. The seal is immediately rescinded if the manufacturing companies infringe these contractual rules, and they become liable to a penalty of a five-digit euro amount. 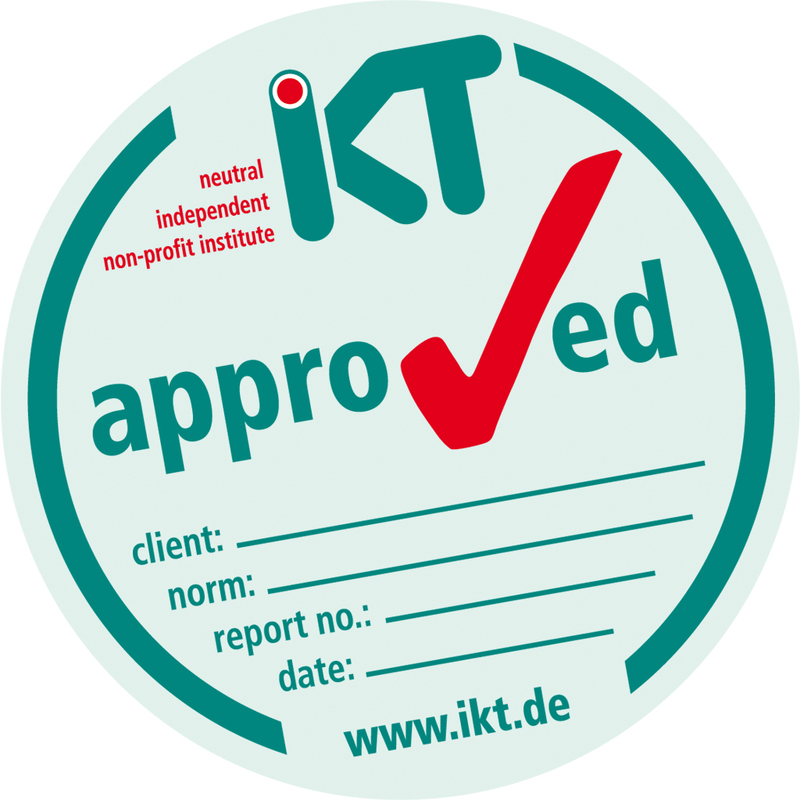 The IKT-approved seal is awarded for special product or method properties which either individually or in combination improve on the standards and have been documented by the independent and impartial IKT Test Centre. The programme of testing applied for this purpose is also agreed with end users and customers wherever possible. The property tested is, above all, stated on the test seal, and also in a a report and on the IKT website. The placing of an order to undertake testing does not oblige IKT to award a test seal. The question of whether the criteria for the product and/or the installation method have been met under specific service conditions is examined after completion of testing. The IKT-approved seal is awarded only if the product is compliant. 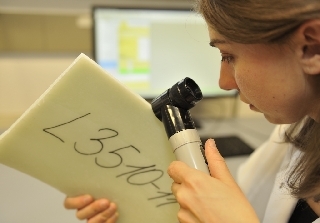 The aim of the IKT Comparative Tests is to supply reliable and independent information on the properties of commercially available products and methods. The statements made in suppliers’ process descriptions and advertising material concerning their performance claims for their products are subjected in the IKT Comparative Test to independent and impartial verification. 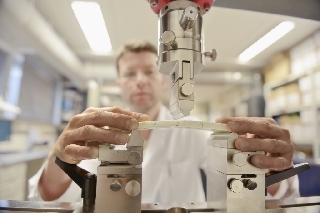 The central aspect of IKT’s evaluations is the suitability of products under long-term operating conditions. Ascertaining conformity with existing technical codes and standards is, therefore, not the prime emphasis; instead, behaviour under the operational environment to which the products would be exposed for decades in practical service, is investigated. Every IKT Comparative Test concludes with an independent, practically relevant technically and based evaluation of the products tested. The strengths and weaknesses of the products, in addition to potential and limits on their use, are stated in an easily comprehensible evaluation chart and on the IKT Comparative Test seal. The products tested are awarded a grade, which ranges from VERY GOOD to INSUFFICIENT.